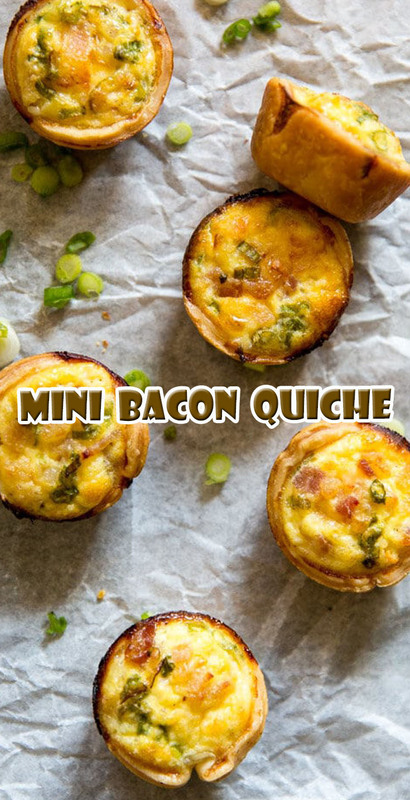 Place one tablespoon of cheese into each of the muffin cups. Evenly divide the chopped bacon among the cups, about 1/2 teaspoon. Top with a couple slices of green onion.